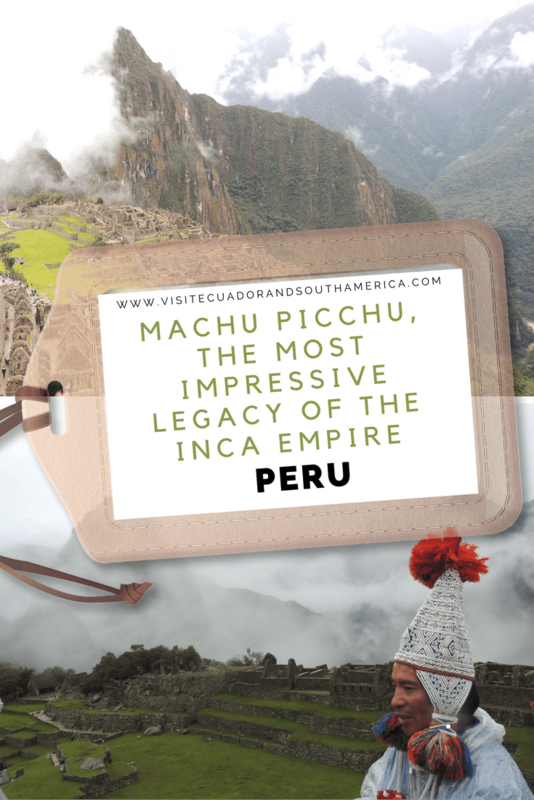 Machu Picchu, the most impressive legacy of the Inca empire. Most world travellers have included Machu Picchu in their bucket list. For me, this was not only about visiting an impressive site, but also about learning more about the history of the largest empire in pre-Columbian America. This archeological site that dates back to 1450, to the time of the Inca empire, is located in the heart of the Andes cordillera in the Cusco Region of Peru. This ancient Inca city is not only a UNESCO world heritage site, it is also one of the 7 wonders of the world. The intricate terracing and the positioning of every building show the importance of this place as a ceremonial site. Staying in Cusco at least one day is highly recommended in order to acclimate before taking an early bus to the train station at Ollantaytambo. Our journey started in Cusco which is a small charming city, here are some great options of places to stay in Cusco. From there we took the early train to Aguas Calientes. This is a small town known for journey begins on board a bus, along a winding road that will take you to the closest town and then to up to the entrance to Machu Picchu. Booking a tour to Machu Picchu will make it a much relaxing and memorable experience. It will ease communication barriers and avoid the hassles of planning and logistics. You can go ahead and choose from these tours. If you are in Machu PIcchu I would love to see your pictures. I was very impressed by the organization at the entrance of the site, it is very well-marked and they have a good system with lines where you wait until they have checked carefully your id. It also possible to have them stamp on your passport that you had been to Machu Picchu! The site is open year-round, so what you need to consider is that from October to April it will be raining quite often. In fact we went there in January and the day started with rain and fog. So we had to get ponchos, had with us umbrellas and what was not planned was how to protect our camera as we wanted to get the best pictures and at the same time avoid it getting wet. So , word of advice, if you have a SLR camera with you to any trip where it might rain, get a Professional Rain Cover for Large DSLR Cameras otherwise avoid using it or you risk it getting damaged. In addition to rain gear, bring something to drink and sunscreen. Remember the sun is stronger around the equator. The day began with some rain and fog. We just made sure to have enough layers of clothing and to buy some rain ponchos or bring them with you before the hike. Nothing was going to stop us from visiting the best legacy from the Inca empire, not even lousy weather. Once you enter the site you get mesmerized and start thinking of the amount of work and all the history that lies behind this place. Machu Picchu gives testimony of what the Incas had achieved during their rule. After a couple of hours the rain ceased and the colors became brighter. At this time we reached a vantage point with a cloud free view of this stunning architectural legacy. You get a complete perspective of what this ancient culture managed to do in architecture, civil engineering and astrology. In addition, Incas are well-known for their special terrace agriculture system. This is a subject that I got to study at school and read about later on. Once I visited Machu Picchu and the Sacred Valley I really got a better understanding of the work Incas had done. This is for sure one of the most memorable trips of a lifetime! Find some really great additional tips for your trip to Machu Picchu. In sum, this is one of the places you should see when you are in South America. I know, you have read this before. I will just have to say it again and hope that you have a great time! Have you added it to your bucket list? or if you have been there, what was it that impressed you the most during your visit? If you are like me, you will probably want to know even more about all places to visit and enjoy the delicious gastronomy of Peru, and have the option of bringing it with you to your trip. So, I highly recommend taking a look at the travel guide Lonely Planet Peru for more information, tips and inspiration!